Bifocals, Single vision and progressive lenses. 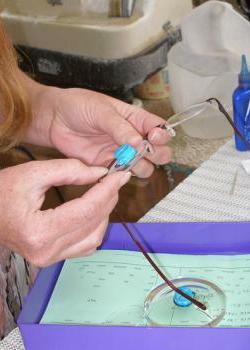 Contact lens fitting and teaching instruction. 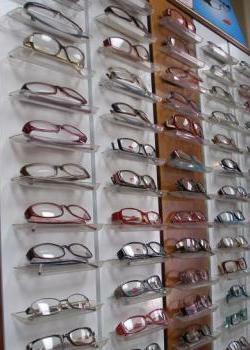 We offer a vast assortment of Frames for all ages and price range as well as the popular designer brands you are looking for. Our comprehensive eye exams include patient education. accurate prescription for eyeglasses and contacts as well as appropriate referrals for eye eisease treatment and the follow up. At Oregon Vision Center we are at the top of our industry, setting the bar high in all aspects of optometry. We pride ourselves in providing affordable eye exams we know Central Oregon residents are looking for: Our services range from vision testing, diagnosis and treatment of eye disease, eyeglasses, contact fitting and more, for the whole family, children to adults. We use our own in house optical lab, which means that we carefully make your eyeglasses quickly and more inexpensively than if we had to send them out to another lab. Most eye wear is finished within 24 hours. Also , if you need repairs, we can do them quickly and accurately. Your eyes are one of your most valuable gifts so trust them with our eye care service since 1958. Trust your eyes with the professional team at Oregon Vision Centers. We are skilled at guiding your frame selection so the frame shape and color will be flattering. We go by your facial shape and fit an opposing shape for balance. Eyewear is a very important accessory, let us help with our extensive knowledge!